We were with my family on Christmas day after we flew back from Illinois. 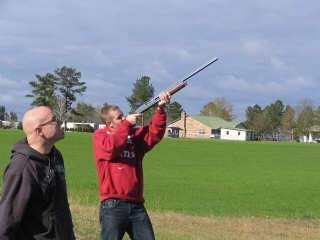 After lunch, Gene, my brother-in-law (the completely bald one), mentioned that he brought his shotgun. 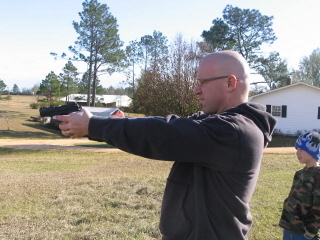 Jake, my other brother-in-law (partially bald one in the tan jacket), mentioned that he brought a pistol. 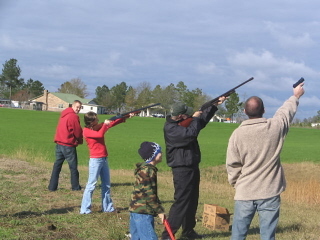 We all tried our hand at shooting the firearms. 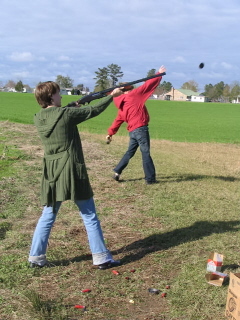 We had a box of clay pigeons and a hand thrower, but the pigeons were too old to fit in the thrower right so Jason was the designated thrower. 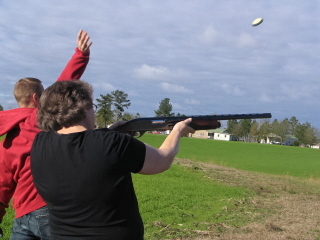 I also had a stroke of luck and hit the target the first several times. 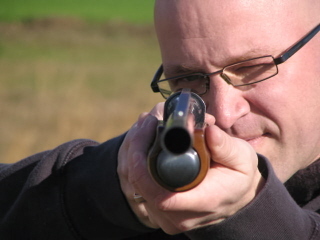 Jason was a good shot too, although he told me later that he never really tried to line up the bead on the end of the barrel with the target. He must have extra good hand eye coordination! Mom was not so lucky. 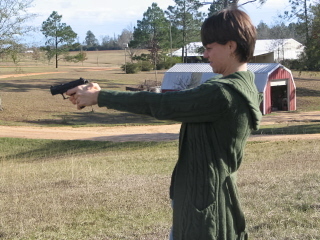 We also tried shooting the handgun. 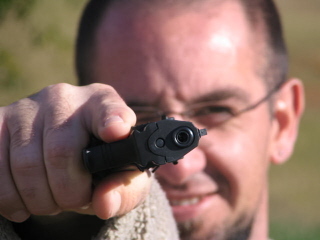 They had to prove several times that the guns were not loaded before I consented to taking these pictures. It was still a bit freaky. ~ by legmaker on December 26, 2007.